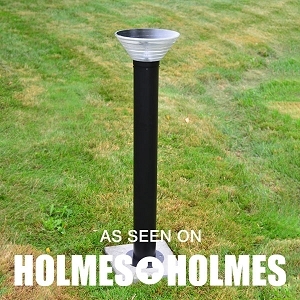 Solar Lights for Columns & Pillars & Courtyards, Oh My! Luminous Solar Light Wherever You Need It. 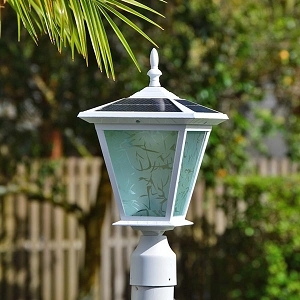 free-light Courtyard Solar Lights are the perfect addition to landscapes, backyards, driveways, entrances, walkways, parking areas, patios - everywhere you want more light at night! free-light Solar Lighting products are well-made, durable, dependable and oh, so versatile! 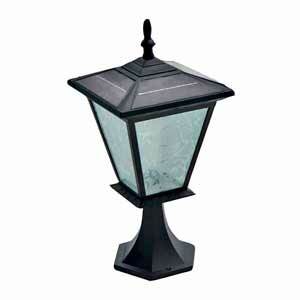 We may suggest using a particular style for lighting up a Courtyard or Columns and Pillars, then someone will tell us, "hey - these were great at the roadway entrance to our cottage" or "what a relief to have reliable light at our campsite at night." Decide where you want to add power-saving, free-light solar lights, how tall they should be, how you want the soft natural light dispersed, then browse our catalogue for wonderful ideas that will continue producing the same bright light for seasons to come! No digging, trenching, electrical wires, or fuss. You may find less expensive solar lights - but you'll never find any brighter than free-light - that stay as bright as free-light year after year. Inferior products promote "3 or 5 times brighter than standard solar lights." Using the same comparison, free-light products are up to 200 times brighter than a standard solar light. free-light Solar Lighting products are bright enough to read by. No wires... just add sun!